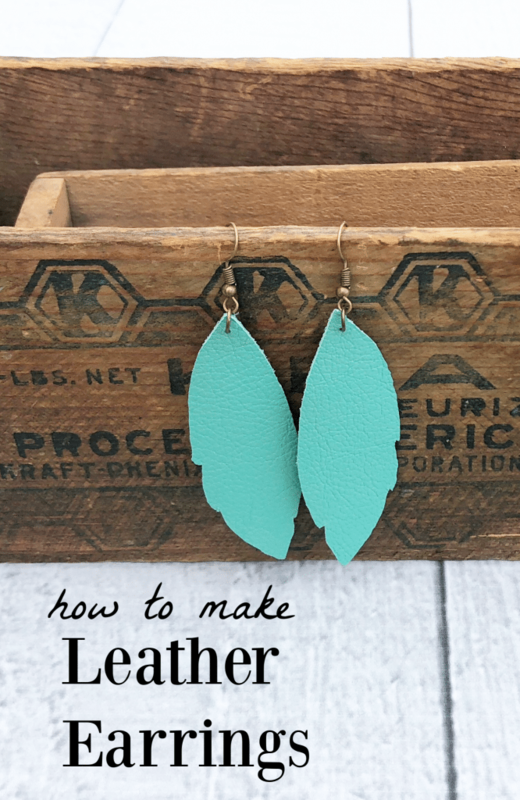 Leather jewelry is so lightweight and it makes such a statement with any outfit, let us show you how to make leather earrings using a Cricut. An easy DIY that you can make at home and it only takes a few minutes! 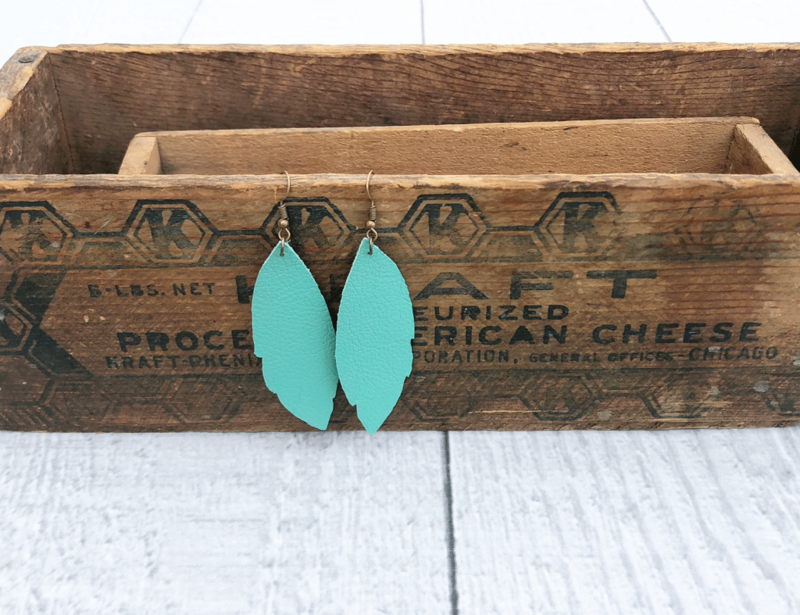 You can make these for a fraction of the price of other leather earrings. Be sure to check out all the other projects at the end of the post. 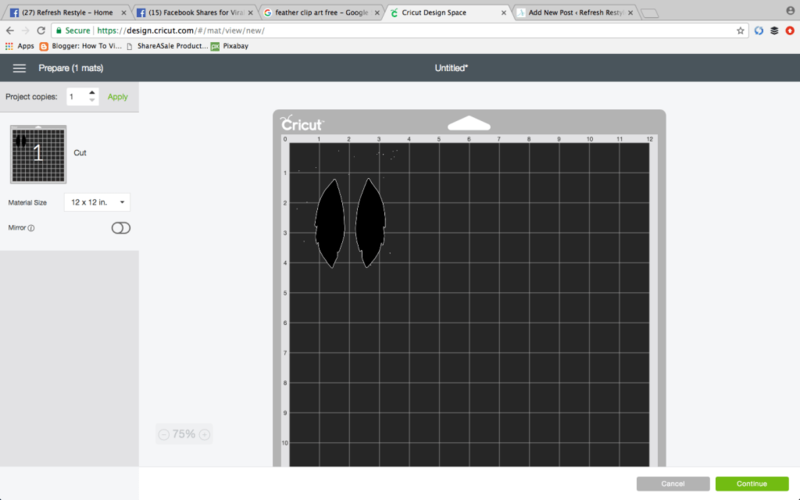 Ya’ll, this maybe my favorite Cricut Explore Air 2 project yet! 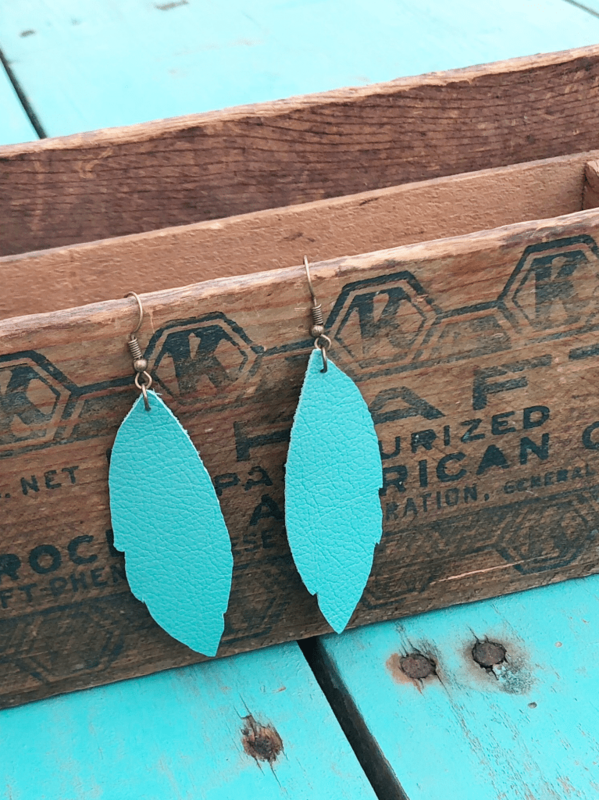 These feather shaped leather earrings are so fun to wear! They are big enough to be noticed, and trust me, people noticed and LOVED them! 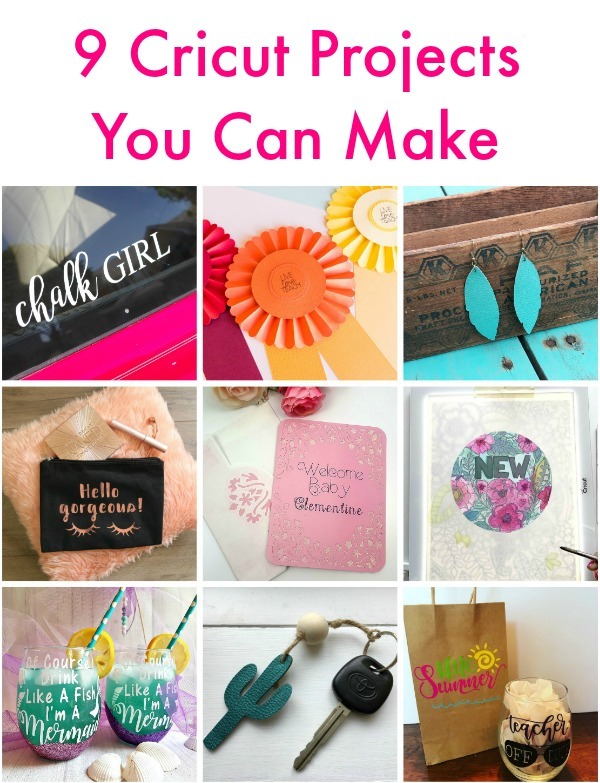 And how cool is it that you can make your own?? I just can’t get enough of these earrings…so cute! I hope you enjoy them as much as I do. 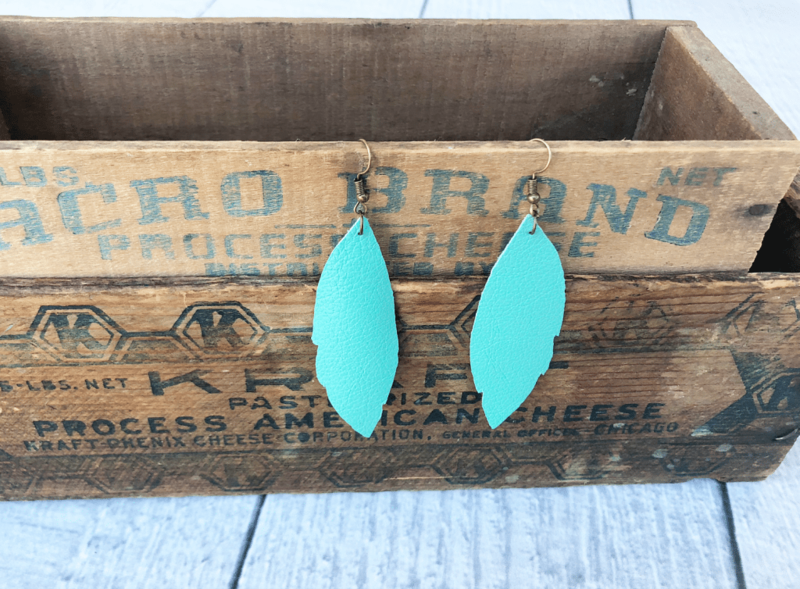 These leather earrings are gorgeous! Affiliate links have been added for your connivence. 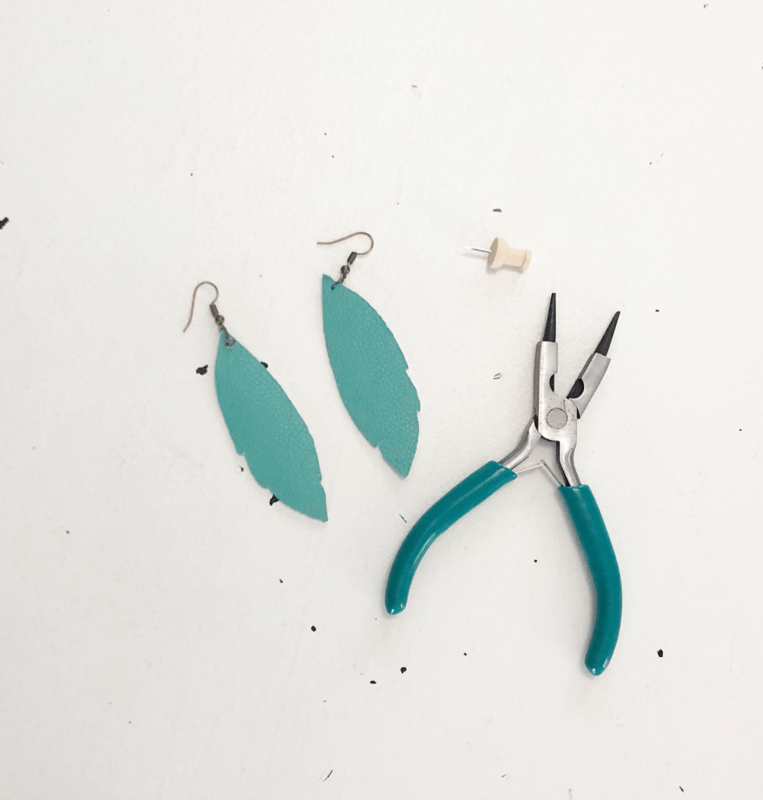 Decide on the shape for your leather earrings. I went with a feather. Prepare the leather by covering the back with contact papers. 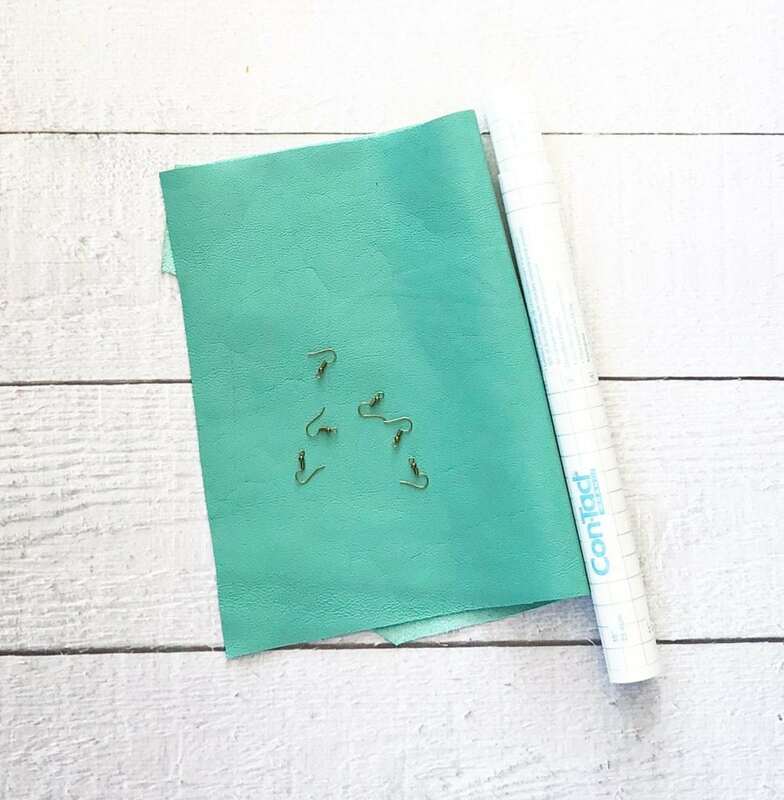 Place contact paper side of leather on your cutting mat. 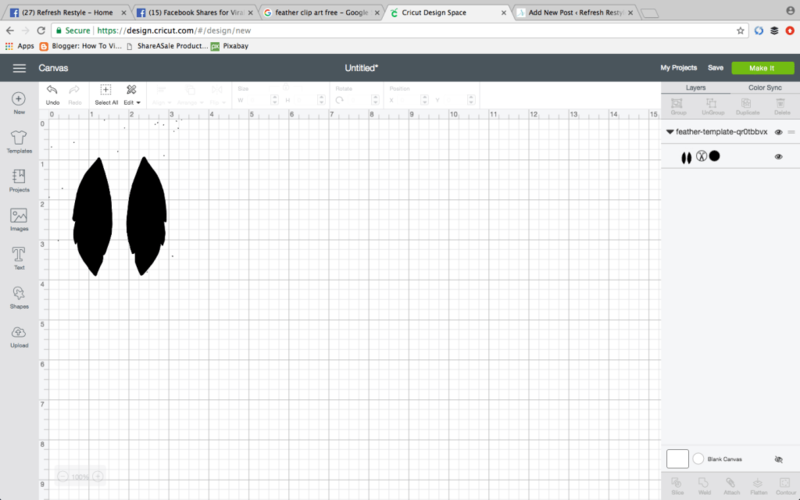 Cut your design using your Cricut Explore Air 2, or any vinyl cutting machine you choose to use. Once your design is cut, remove the leather from the cutting mat. 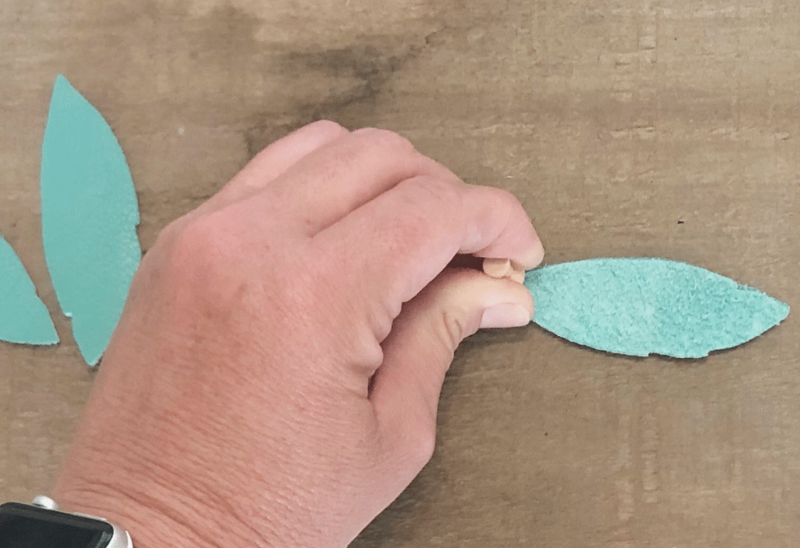 Remove the contact paper from the back of your cut designs (feathers). Place your leather feathers on a piece of wood, laying them on top of each other. Decide where you want your holes for the earring french hooks and make a hole with the tack, pushing it through both pieces of leather into the wood. Using your small pliers, spread a jump ring open. Place the jump ring through the hole in the leather. Put the French ring on the jump hoop. Close the jump ring with the small pliers. **Placing the contact paper on the back of the leather it to prevent the leather fibers from sticking to your cutting mat and ruining it. Do have a Cricut but got stalled trying to install not long after I first got it.One ? didn’t know how to answer,haven’t tried again but certainly should.. want to be able to use it.Can’t afford to buy all the extras to use it but will bumble my way thru somehow. Great aqua feather earrings,look simple to make,just need to find some aqua leather to cut out shapes. Love your leather feather earrings. My hair is also short and all gray. Nor one for dangly earrings but worth a shot .Love the aqua leather. Don’t have a Cricut to cut with, will do by hand. These are so adorable! I am in love with faux leather right now and have made some super cute earrings. I don’t have this color yet and I MUST find it! These came out perfect! Thanks Heather and actually it’s real leather. I wore them this weekend and they look great with so many outfits! I am obsessed with the faux leather earrings! They are so easy to make! Thanks Mary and actually they are real leather feathers! I am loving them! Great tip about using contact paper. These are so pretty! That faux leather comes in handy for so many projects. Thanks Jenny, it’s real leather and so easy to make!